ASG The Store in Olympus Village is a premier luxury cycling destination offering top-quality products to its customers. It also houses another ASG BikeScience facility that provides a holistic approach to improving cyclists’ performance, health and efficiency. Cyclists visiting the store also have access to the real-time Ftech Total Look Lab. This studio offers them the opportunity to create and participate in the live design of their cycling apparel using technology to match their shoes, eyewear, helmets and the like into a desired ‘look’. Leigh’s Cycle Centre offers customers a wide variety of mountain bike, road, women’s and kids’ products as well as a bike fitment studio and a world class service centre. The concept store is situated at 39 Meridian Drive in Gateway, Umhlanga. 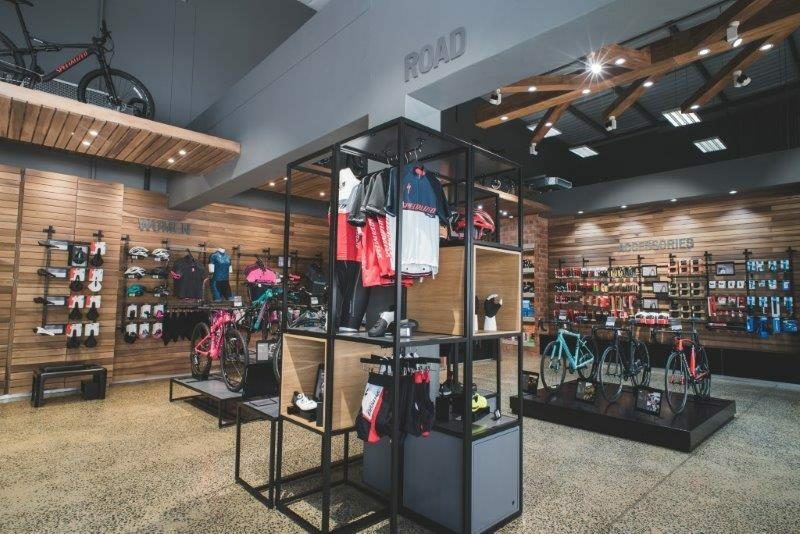 The ASG Concept Store in Paarl offers cyclists a wide-ranging stock of bikes and accessories. Their main focus is to showcase the brands they distribute themselves, such as Pinarello, Ellsworth, Wilier, Rudy Project, F-Tech, High5 and Sidi. They offer advice, bike setups, coaching and services. They are situated at the Laborie Centre. 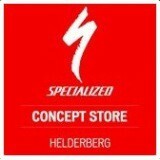 Helderberg Cycle Store, the first specialised concept store in the Western Cape, strives to give their customers a shopping experience second to none. They offer a wide range of specialized bicycles for the whole family and provide a variety of services which include bike services, sizing and the Body Geometry FIT Service. They’re located at the Meltz Centre in the Somerset Mall in Somerset West and are open from Monday to Friday 8:30am to 6pm, Saturdays from 9am to 2pm and some Public Holidays. Revolution Cycles showroom opened up in December 2007 with the aim of keeping people on their bicycles and giving the best shopping experience possible. They stock new Mountain and Road bicycles and have brands such as Specialized, Pyga and Santa Cruz. You can also find a wide range of cycling accessories in store or bring your bike in for a service. The shop is located at 177 Bree Street in Cape Town and is open on Monday to Friday from 8:30am to 5:30pm and from 9am to 1pm on Saturdays. Conveniently situated in the Northern Suburbs of Cape Town, Cape Town Cycles offers an exciting range of cycles which includes Momsen, GT and Mongoose as well as accessories and workshop facilities. They are situated at Shop no 15,Uitzicht Centre which is on the corner of Vatican and Sicily Street in Uitzicht, Durbanville and their trading hours are Monday to Friday from 9am to 6pm and on Saturdays from 9am to 2pm. The City Cycles Store in Cape Town has a massive selection of bikes, from MTB and Road bikes, to Tandems, Electric , Hybrid, Cruisers and lots more. Their bike brands include Avalanche, Axis, E Bikes, Giant, GT, Mongoose, Schwinn, Scott, Silverback and eZee and they do offer major and minor services. 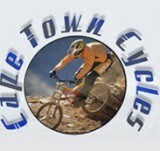 You can find City Cycles at Shop 545 in Canal Walk, Century City and they are open seven days a week from 9am to 9pm. 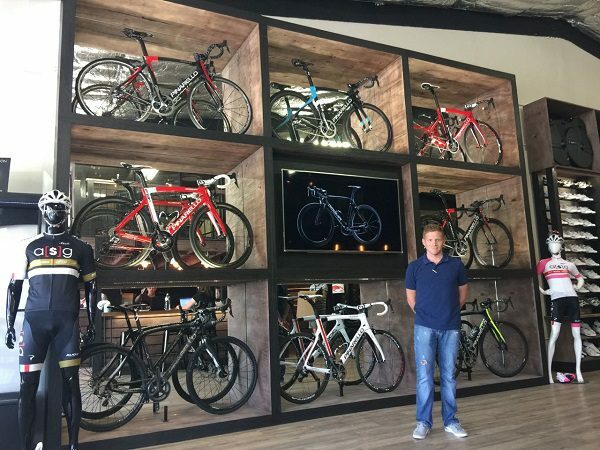 Cycle Factory Shop is the first cycle shop in South Africa to offer on and off road bicycles, accessories and cycle clothing in a factory store environment. The Factory Shop offers a wide range of cycling accessories, apparel, bikes and components. They also offer a variety of bicycle service packages ranging from major services to minor services, fork and shock services and custom wheel build. Customers also have the option of registering for Cycle Factory Shops Web Store, placing their order online and having their merchandise delivered nationwide at great prices. The shop is located at 101 Marconi Road and Montague Drive in Montague Gardens and they are open on Mondays to Friday from 9am to 6pm and on Saturdays from 9am to 2pm. Originally established in 2006 out of the owners garage in Table View, Cycle Teknix has grown into a well known and established cycle shop specialising in sales, rentals and repairs. Their diverse range of products include spares and parts, wheels, accessories, apparel and bikes with clients also able to take advantage of their domestic courier service. Other services offered by Cycle Teknix include bike services and rentals. Their staff members are trained in-store by experienced mechanics and sales personnel, making them capable of handling complex services and providing expert advice. The shop is located at 1 Saratoga Court, 309 Main Road in Kenilworth and is open from Monday to Friday, 8am to 6pm and on Saturdays from 8am to 2pm. The shop is located at 145 Blaauwberg Road in Table View and is open from Monday to Friday, 8am to 6pm and on Saturdays from 8am to 2pm. Olympic Cycles was originally established in 1936 and is now a fourth generation family business, offering good old- fashioned service with the industry’s latest, most up to date technical support. The store stocks a wide range of pivotal products and brands that have been tried and tested which includes bikes, cycling apparel, parts and supplements. Other services include Race Support, Cycle Rentals and a full service workshop. You can find Olympic Cycles at The River Club at the Parkways Observatory and their trading hours are Monday to Friday, 8am to 6pm and on Saturdays from 8am to 2pm. You can find Olympic Cycles at 67 Imam Haron Road in Claremont and their trading hours are Monday to Friday, 8am to 6pm and on Saturdays from 8am to 2pm. Founded in 2012, BikePlus is a little bike store with great ambitions, found in Constantia in the Western Cape that stock major brands across most cycling categories. Cyclists will be able to find a variety of items available from BikePlus ranging from bikes, frames and wheels to cycling apparel, clothing and accessories. Other services available also available include bike services, fitting, training, coaching and dietary assistance, race support and the rental of road and MTB bikes. Another major draw card to this shop is the opening of their altitude training chamber which is ranked as the second largest in Africa. The BikePlus Altitude Centre features Wattbikes, designed to simulate an authentic cycling motion, with extensive performance measurement and feedback mechanisms. Though cycling-based, the facility and its programs caters not just for cyclists and elite athletes or pros, but also for those looking to recover after injury, lose weight or improve general health. And lastly, they also offer a mix of local MTB and Road rides through their social club, so why not pop in, check out the shop and chat to their professional team of employees about all things cycling while sipping on a coffee from their in house café. The shop is located at the High Constantia Centre on the corner of Constantia Main Road and Groot Constantia Road and their trading hours are Monday to Friday, 7am to 6pm and on Saturdays from 9am to 3pm. Alpha Beta Cycles in Kimberley have been open since 2012 and stock a vast amount of cycling accessories from bike carriers to heart rate monitors and supplements to name a few. They also have an array of MTB bikes available for purchase and Road bikes not featured in store but can be ordered via their website. Other services they offer include bike set-up, wheel rebuilding, bike services, cleat positioning and club rides. They are situated at no 1 West Street in Albertynhof and their trading hours are Monday to Friday from 8am to 5pm and on Saturdays from 8am to 12:30pm. A cycling shop by cyclists for cyclists, The Motion Shop deal with all forms of biking from Road to MTB to Triathlon to BMX bikes, stocking most brands and sourcing those requested that they don’t have for you. They also have a qualified bicycle mechanic on duty to take care of all of your service requirements and fixes, going as far as to collect, fix and return your bike for you. They’re located at 6 Cuyler Street and their trading hours are Monday to Friday from 10am to 6pm and on Saturdays from 9am to 1pm. Originally opened in 1990, Action Cycles in Port Elizabeth aspire to offer the world’s most trusted and leading cycling brands at competitive prices. They stock a wide range of cycling accessories and gear which span from bikes and frames to nutrition and hydration supplements , offer a same day bike service centre (on a booking basis only) and bike set-ups. You can find them at 97 Heugh Road in Walmer and their trading hours are Monday to Friday, 7:30am to 5:30pm; Saturdays from 9am to 1pm and on Sundays during December. 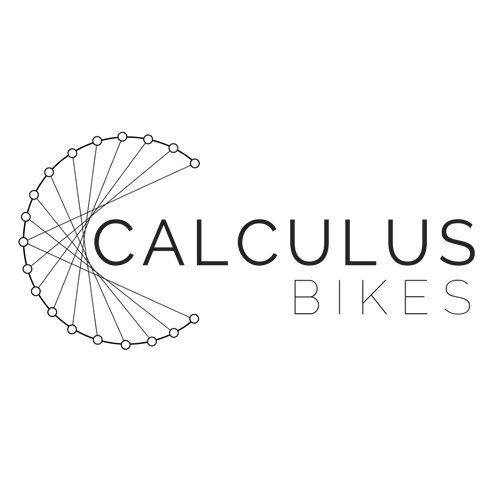 Coimbra Cycle Centre specialise in the sale of entry level to high end bicycles. They stock a variety of leading brands, cycling accessories, clothing and nutrition. They also have an in-house service centre and work on a 48 hour turnaround time. Their trading hours are Monday to Friday, 8:30am to 5:30pm ,Saturdays from 8:30am to 1pm and you can find them at 6th Avenue, Walmer. 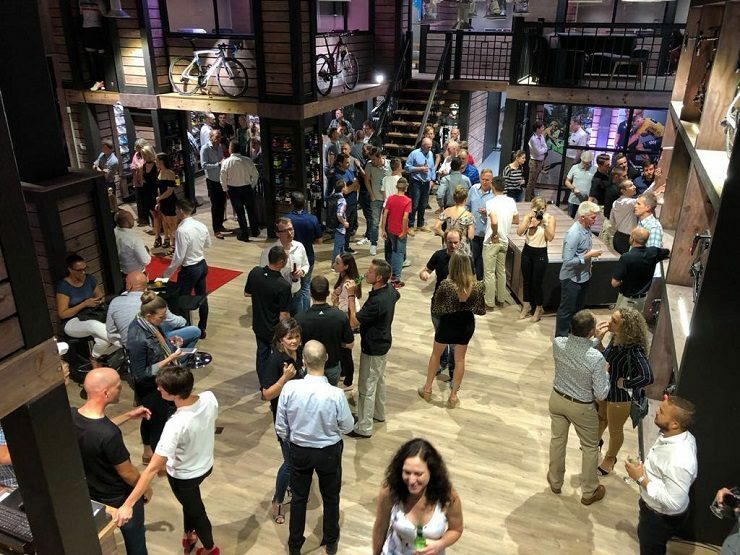 Since their opening in 1994, Cycle HQ have become the official bike shop for quite a few high profile events in the Eastern Cape, with their forte ranging from sales and repairs to bike setups. They stock a wide variety of leading bicycle brands, accessories, clothing, spares and supplements, catering for all cyclists and also offer major and minor bike services. They are located at the top of the Old Transkei Main Road in Nahoon and are open on Monday to Fridays, 8:30am to 5pm and on Saturdays from 8:30am to 12pm. Situated in the heart of Mossel Bay is Monties Cycle and Sport, which is a family run business that has been involved in the industry for over 50 years now. They stock a multitude of items from adult and children’s bikes, cycling accessories and clothing to food supplements and also offer major and minor one day bike services at competitive prices. Their trading hours is Monday to Friday 7:30am to 5pm and on Saturdays from 7:30am to 1pm. Their store is located at 62 Marsh Street, Mossel Bay.